Spray Polyurethane Foam (SPF) roofing has been in use for over 40 years. This incredibly versatile substrate offers outstanding water resistance and insulation values that are perfect for many situations. 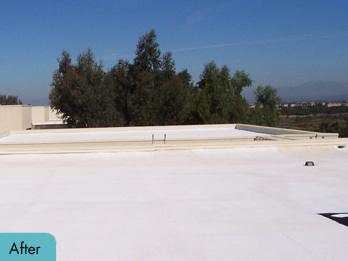 SPF can be formed to create slope, enabling water to be removed from low spots on a roof and fills gaps around roof penetrations and transitions. A major consideration when using SPF is to ensure an experienced applicator is involved that understands the importance of using proper methods to achieve a high performing product. NCC has an approved applicator program to help ensure you are getting safe, properly applied foam and coatings that will perform to the highest expectations. National Coatings Corporation offers several different types of coating which virtually block the suns UV rays protecting the foam from early degradation. 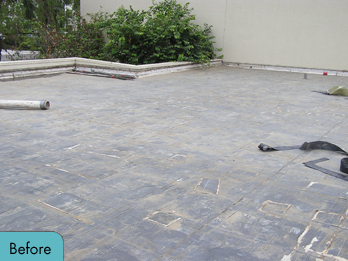 Our products are outstanding watertight products on their own ensuring maximum water resistance for your roof and in addition, they save on energy costs, provide longer roof life, contain almost no VOC’s and create very little disturbance of your work environment during application. NCC has been in use on foam roofs for over 30 years with proven success. A simple preventative maintenance program on your SPF roof can make it perform to the highest standards and last indefinitely. AcryShield A501, A500, A510, A550 and A590. Quickset products A600 and A610.